Very poor qualilty fabric and fit. I make "Museum Grade" Civil War Uniforms for a living, so I feel VERY qualified to review this coat. It is "Expertly Sewn" and cut correctly for a frock coat (the front is cut in an arc NOT straight, which is the way it is suppose to be done. The pockets, both exterior and interior are also done very well. The fit, right out of the box was correct and the coat needed no "fine tunning" on my part. To bring it up to museum grade, the button holes need to be resewn by hand and the linning should be had out of 100% pollished cotton. But for the price, this is an EXCELLANT purchase and am VERY HAPPY with this coat. I order most of my "Cowboy Clothing from The Historical Emporiun, as I do not have time to make it all myself and I find their customer service to be second to none, which is some thing I pride myself in. Highly Recommended. I love it. The paint-job is swell, it has good heft and it's solidly built. I wish it had a little movement to it like a pulling trigger and switches that worked. High quality and very well made right here in the U.S. Very comfortable once I had the inseam tailored to fit me. western Emporium has certainly been a great find and I will certainly be a return customer. I purchased this shirt specifically for a victorian-themed dinner party. The shirt is well made and I received several compliments on it throughout the evening. With my red harlequin ascot, onyx tie tack, and a pair of gabardine pants I already owned, I looked and felt victorian. I wore my top hat and was the hit of the party. I received many compliments on this beautiful ascot at a recent social gathering. Thank you, Historical Emporium, for helping to make it a memorable evening, both for me and others. a good design the stripes give the vest a nice colour contrast,another good purchase for me from the emporium. Great item. I use it to perform Mark Twain for kids. Nice touch to the show. Wonderful silk feel, real comfortable. Makes me consider wearing suspenders as a general rule. This is a pretty nice tie. I would like it better if it were not pre-tied, but that's not a big deal. Right out of the bag, a super soft cotton shirt. As comfortable as if I'd been putting it on for years. The collar stands higher than expected---which is just what I wanted! Excelsior! And it comes in Long sizes! Thank you, thank you! The drape on your walking skirt is perfect for the look of this time period. The length is exact and the construction is tough but cleverly appointed. I perform in my "outfit" so I must feel confident and dressed appropriate to the style. This skirt is perfect for both elements. I would suggest when you purchase this skirt you should measure yourself and check against the sizes listed- it matches perfectly to size. Enjoy- you will love this addition to your costumes or personal wardrobe. This pith helmet more than exceeded our expectations for the price. It gave an historically accurate look to our victorian Egyptologist for a theater production that made everyone happy. Fit was comfortable and adjustable for our actor as needed. Service and speed of delivery were exemplary. This jacket was ordered for a theater production and the quality and workmanship are excellent. Sturdy fabric that wears well. We had to order one size up as the Large was out of stock but since we had to rig this for a very fast change and to be worn over another costume it worked very well. Everything we have ordered from Historical Emporium has been high quality, reasonably priced and delivered promptly. Highly recommend them for period detail items. I absolutely love this coat! It is well made in fits perfectly! It does run small so get the next size larger than you usually wear. Looks great with jeans too! Excellent gloves, they were just what I expected and fix perfectly. Great looking coat, It fit perfectly. This is a fine finish for my outfit . I love the Farnsworth vest. It is gorgeous and yet subtle both at the same time. I really love the way the design pops in just the right light. Also, being that I'm a big guy, I am extremely happy the vest came in my size (3x) and fits perfectly. This is my first purchase from Historical Emporium, but not the last. I look foward to shopping with you again HE. This is a high quality cap offered at a reasonable price. It is made in the USA which was a pleasure to see. Thanks! This USA-made cap exudes quality in manufacture. I like it very much in that is a light weight material and fits me well. Very pleased with my hat; it was my reward to myself for losing weight! I enjoy it & wear it around, including church & school (college prof). Have gotten many complients on it. VERY good price compaired to several other web sites I checked. As I lose more weight plan to buy other items. Right after these boots arrived, I wore them to a local antique & craft show and received many great comments about them and was asked where I got them, etc. I wore them pretty much all day and they were very comfortable. The parasol was beautiful, the feathers were just flowy enough around the edge. I am using this as a photography prop.Very nice piece. So far. I'm going to take it out tonight and I'll see what kind of reviews it gets. Your company does not have stock in sizes - it seems to be all over the country. Also , it is very difficult to get an idea of complete orders if several have been made. Good product, reasonably priced, happy with the time it took for the product to arrive. You carry the unusual - would definitely recommend to anyone looking for this type of clothing. Such fun stuff! Nice quality, reasonable price. A lot of fun to shop at. The items are good quality and came quickly. I would use this company again and recommend it to others. As you know I had to return the top hat I had purchased as it was mismarked as large when in fact it measured x-large. When I first call I talked to a lady who did not help me at all. She claimed that the hat being to large for me was just the way it was. If I didn't want it just send it back. I then called back the next day and talked to Noel, who was most helpfull. After I told him what I was experiencing and told him what this hat measured, he went to the warehouse and got a hat and measured it, he then called me back and we concluded that the hat I had was in fact mismarked. He then send me another hat which fit much better and I returned to you the mis-marked hat. excellent workmanship. No need to pay more from other leatherworks. Excellent service and super fast shipping. Thank you. Excellent quality items, very good service. I'm highly impressed. I will buy again, and will recommend. the Emporium has awesome thing for great prices. Just sent a link to a friend from my local club who after seeing my holster is now wanting to purchase as well. If I heard someone say they were looking for clothing you carry, I truly would recommend you. It was easy and I got it sooner than I expected. The purple socks I ordered to wear in a walk for the american cancer society. If you had pirate costumes I would have ordered that too. Fast service and quality product. I LOVE these boots (both pair)! Great to have a good source so close by! I was verey pleased with the prompt delivery and quality of the product. Great quality, low prices; can't beat it. We're glad we found you...and we'll be back!! Absolutely perfect! The purchase arrived in record time. This company has a very user friendly web site. I enjoyed seeing the steampunk Emporium clothing. Fascinating fashion designs. Had exactly what I was looking for at a reasonable price. I love Historical Emporium. Especially since they make clothing that fits big guys like me while still looking good on my body. Great produce that are exactly as promoted with fast shipping could not ask for anything more in a store. I have recommended The Emporium to many of my friends. Excellent service and quality products. I've already recommended your shop to all my friends who might like this style. One of my friends who is getting married will be purchasing lots of stuff from your site. Everything fit perfectly, quality exceeded expectations and I got it faster than I'd expected. I am very happy with my purchase. I'm not entirely sure - it will depend entirely on how my return/ exchange process goes. The XL shirt collars that I ordered which claim to fit collar sizes 17-17.5 , but when I tried them on (on a custom made shirt that I know to be exactly 17.5, they were much too large. I'm not sure if all the sizes are mis-sized like this, because if so, I will simply exchange them for a large; if not, I would like a refund, and my shipping refunded because it was not my fault they were misrepresented with regard to size. Very reasonably priced and the shipping was so fast I was literally confused when the package arrived because I didn't expect it for 4 more days! 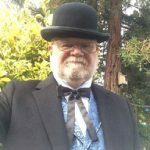 I would recommend this website for those who are new into steampunk so they would be able to see what style of clothes they would for there costume and eventually purchase the cloths and props for their costume. The Pith Helmet is great. My only complaint is that it smells like it has been soaked in used crank case oil. Hopefully the smell will go away in time. The product I ordered sadly came less than 100%. The clock itself stopped working after a day and there were multiple white markings on the inside of the front glass that made reading the clok impossible. I retuned the piece. Great service. Items appear as described on the site. I look forward to doing business with you again. Thank you. Good quality merchandise and fast shipping. I never received my merchandise. I called The Emporium and they gave me the shipping number; according to USPS it was delivered on Saturday the 10th, but it never arrived at my house. The product was delivered as pictured and described on the website. It was shipped and arrived in a speedy manner. Satisfied customer here. Were will to ship with my prefered service. Order over the phone was very smooth. I wore my outfit as I drove my antique car into a car show and everybody loved it . It is very well made and they were fast with the shipping. Though the quality was perfect, i found that, due to my own error, the sizes were not correct. I am still waiting to receive the exchanged pieces. The person I spoke with was very knowledgeable and helpful, the items purchase were all of high quality, all the items I wanted to order were available, and received sooner than estimated. Already did and he already has purchased merchandise. Great quality, workmanship, and style. Received items within a week. I will definitely recommend this company to friends. At first, due to some misunderstanding on both our sides, we didn't hit it off very smoothly. But after the misunderstandings were solved, There was nothing to worry about and the quality of the 2 items were superb. The first order was a try out for me, but, like I mentioned before, everything was great and it encourages me to extensify a additional order. The issue for me is that as an international customer I was obliged to spend $40 on shipping for a single bowtie and this was twice what the bowtie had cost and when i enquired about this issue, i was told that there was no flexibility there. On receiving the package i was really ticked off that my item took up about 1/50th of the space of the package. Surely there should be different sized packages that can be sent. And yeah, i paid the price anyway because my groomsman had specified that this was the tie that they wanted and it was up to me to buy it. Such a ridiculous situation. Pricing was affordable and a good range of products. Good product, good service, including returns and exchanges. Great for certain things. .. Item was as described and sized. Arrived in good time.